During ceremonies this week in the U.S. Capitol and at the Washington Cathedral, George H.W. 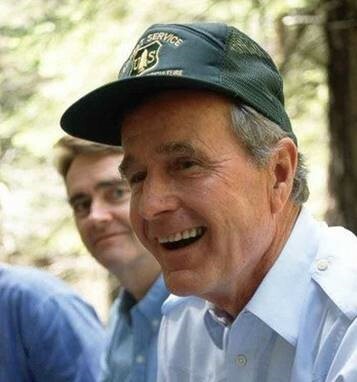 Bush was honored for his leadership, his patriotism and his remarkable circle of friends. 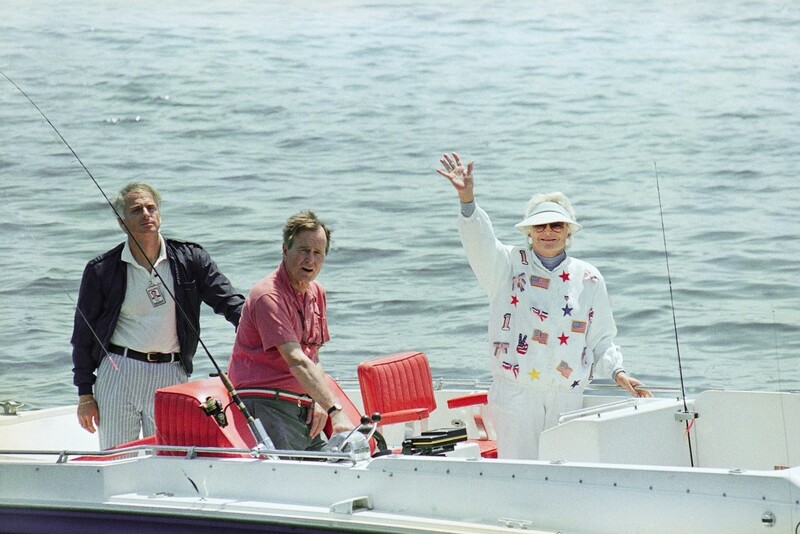 His love of boating and fishing and the great outdoors was referenced multiple times – including talk of his boat, Fidelity, a not-too-traditional fishing boat – a high powered Cigarette. Not discussed was another anomaly – the lefthanded President typically used fishing rods for righthanders simply inverted. Major funding increases for federal recreation sites under the America’s Great Outdoors initiative and through the Federal Lands Highway Program boosting park and refuge roads. His support for outdoor recreation resulted in a full-page USA Today story in 1990 featuring a wonderful caricature – the original artwork hangs in ORR’s office. The President developed strong, lasting relations with many recreation industry leaders including those at The Coleman Company, Bass Pro Shops, Huffy Corporation and more, hosting the group multiple times at the White House. He was honored in 1990 with the industry’s Sheldon Coleman Great Outdoors Award. To view pictures, magazine stories and more, click here.